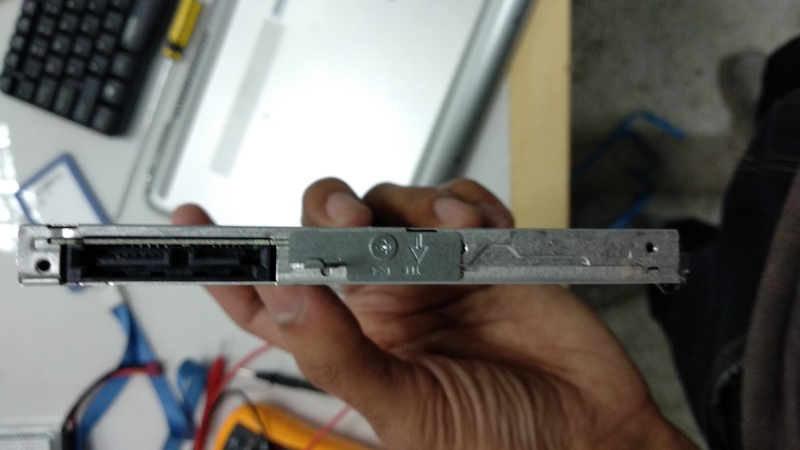 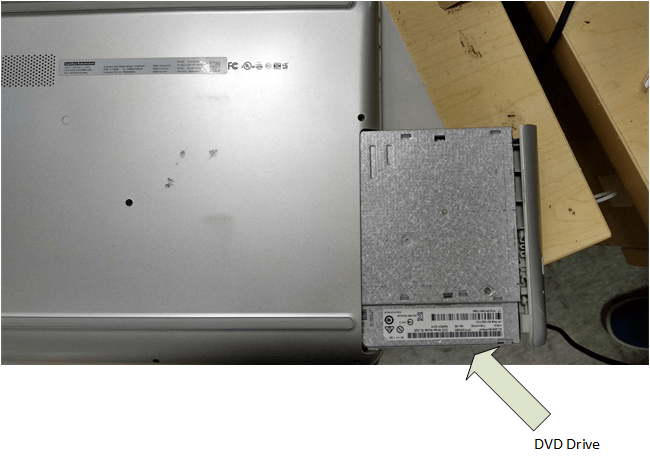 Turn the laptop over and look for a screw on the base about two inches in from the edge where the optical drive is. 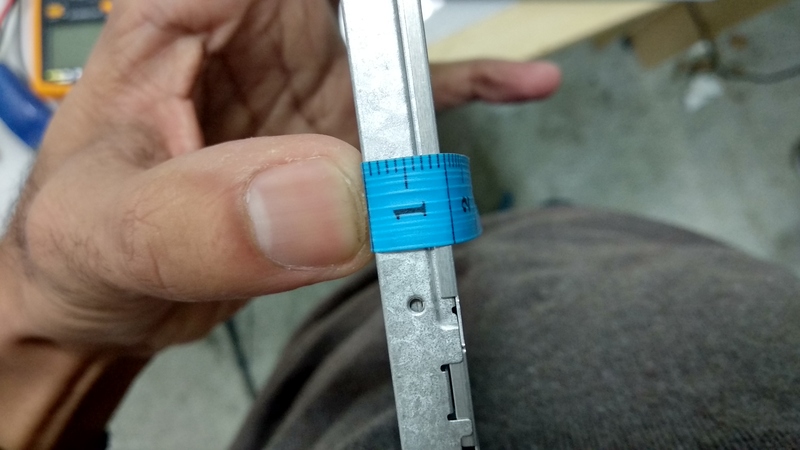 It’s best to take it with you to the store or measure it carefully all ways round, particularly thickness and the size of the missing triangle on one side. 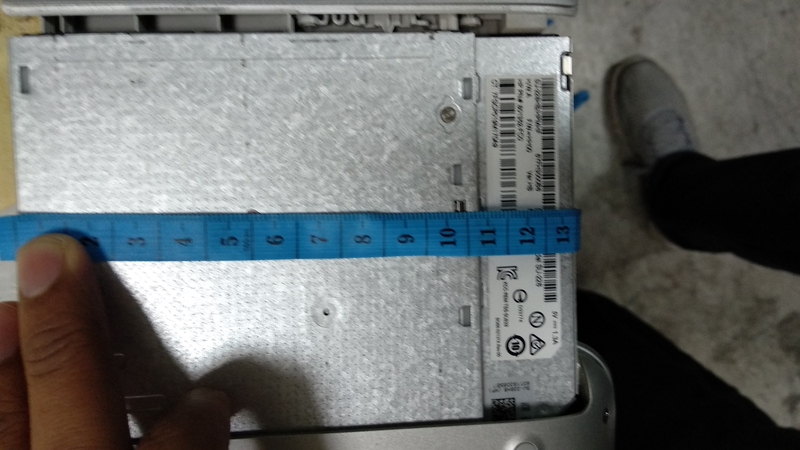 This size is considered for purchasing DVD Rom for laptop, its size is 9.5 mm, however other DVD Rom may have a size of around 12.7mm. 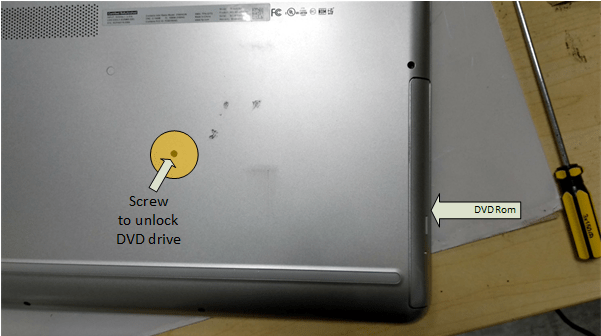 When you get your replacement, you may need to make sure the bracket into which the screw fits in the same way round as the old one.